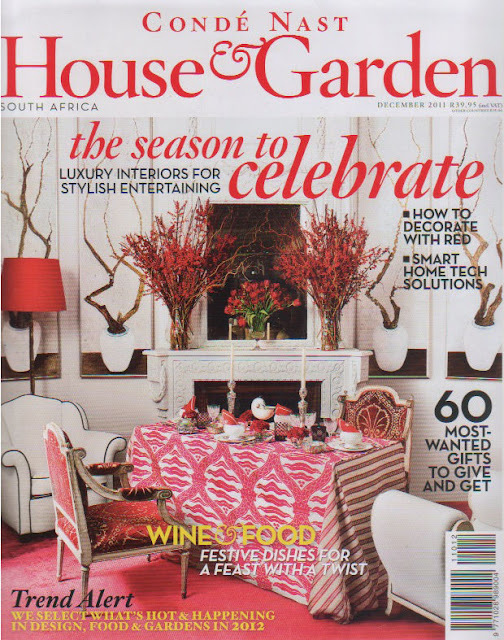 When visiting my family in Cape Town in January this year, I flipped through a few magazines at a family member's house and accidentally stumbled upon my "Bigger Boat" cushion in the December issue of Conde Nast House & Garden South Africa. What a lovely surprise! 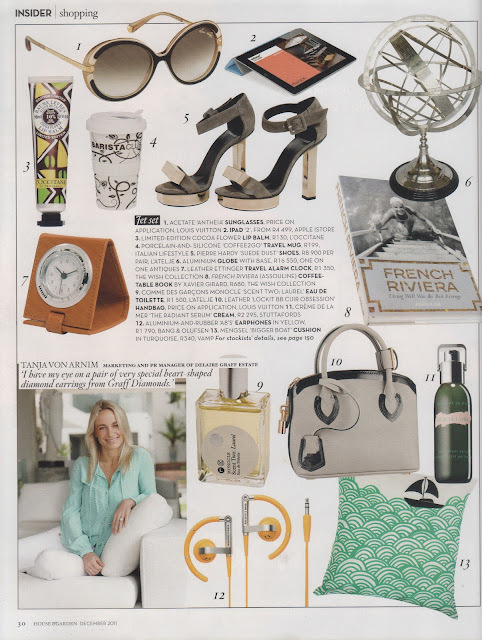 Gorgeous magazine as always. 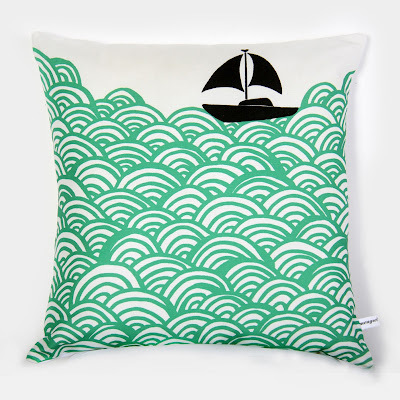 Mengsel's Bigger Boat cushion in turquoise was part a "jet set" gift inspiration layout.